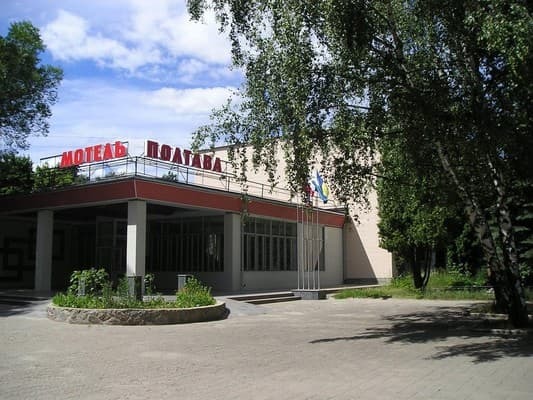 Motel "Poltava" is located 4 km from the historic city center, surrounded by parks and gardens. 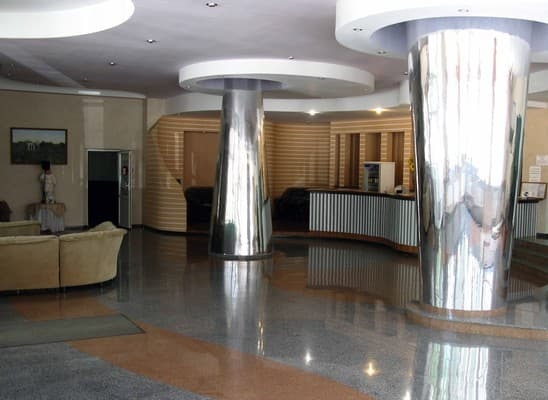 The hotel offers accommodation in standard rooms as well as spacious suites with a kitchen and living room. 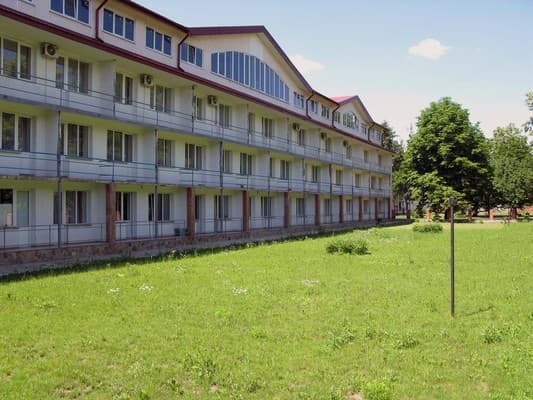 The rooms are located in the 1st building of the motel on three floors. 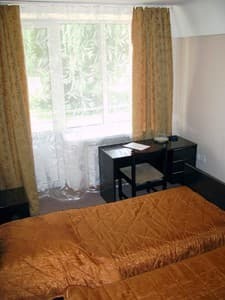 All rooms are equipped with comfortable furniture, a desk, cable TV, a bathroom. In the lobby you can use the free access to the Internet. Guests are offered breakfast, lunch and dinner in the restaurant, which can be ordered from the à la carte menu. 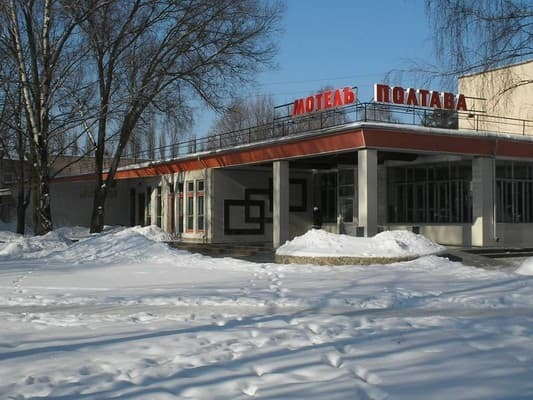 Motel "Poltava" has a recreation area for tourists traveling on trailers. The distance to the railway station is 8 km, the bus station is 2.7 km. Description of the room: Double one-room. For single occupancy, a discount is provided. Description of the room: Rooms with modern renovation. Each room has two separate beds, TV, telephone, separate bathroom with shower, washbasin. There is a discount for single occupancy. 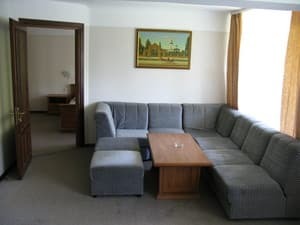 Description of the room: Large spacious rooms are equipped with two separate beds or one double bed, TV, refrigerator, telephone, air conditioning, private bathroom with bath, washbasin, bidet. For single occupancy, a discount is provided. Description of the room: Comfortable two-room suite with fully equipped kitchen. In the room: telephone, air conditioning, TV, two bathrooms, bath, bidet, hair dryer. The kitchen is equipped with a refrigerator, electric stove, kettle, dishes. Free tea, coffee. For single occupancy, a discount is provided. Children under 5 years old stay free of charge, extra beds are not available. 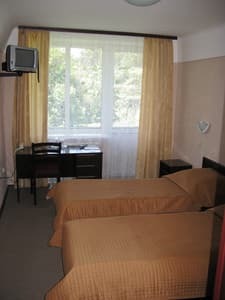 The motel is located just 50 m from the Kiev-Kharkov motorway, 4 km from the historic city center. Pointer "Motel" on the road. The distance to the bus station is 2.7 km, the railway station is 8 km. 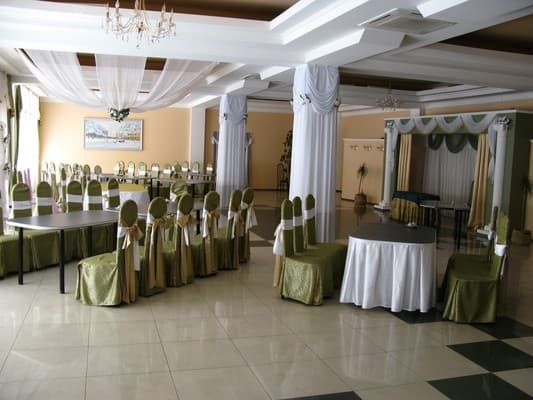 The Poltava Motel can be reached by any public transport next to the Almazniy District.